The Roca is a wind range machine! From lightest breeze to the fiercest hurricane, a two kite quiver allows you to face any condition. 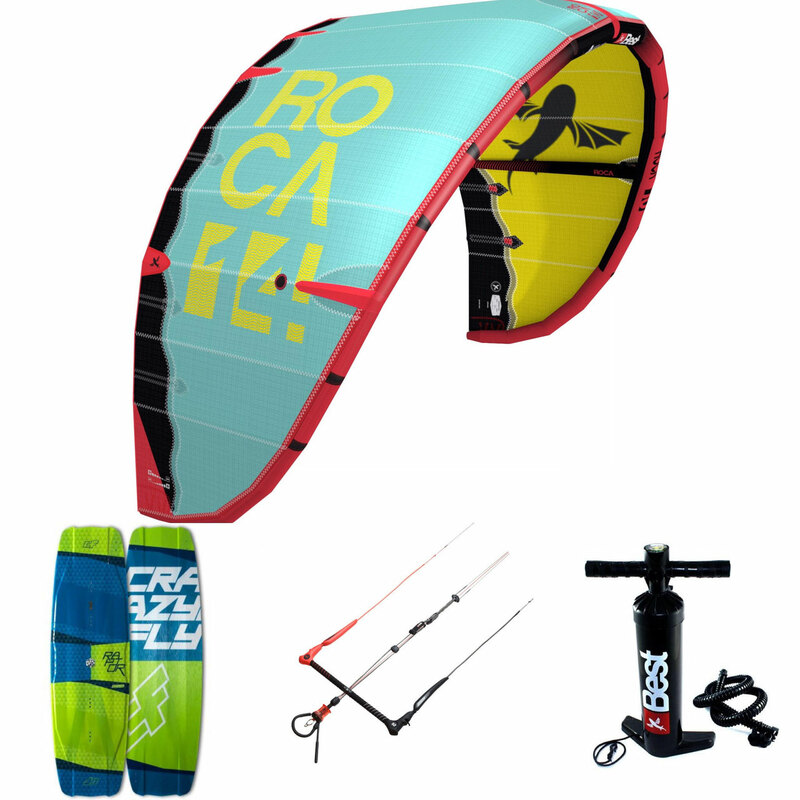 Kitesurfing was never easier to learn, whether you are new to kitesurfing or wanting to jump higher than ever while enjoying the incredible hang time for some old school moves the Roca is perfect. The steering is fast and direct, the bar pressure medium, relaunch and stability provide confidence. The quality of materials and manufacturing make the Roca last a lifetime. It also comes with a new inflation system and attachment points that enable you to pump, rig and launch the kite in less than five minutes. The Raptor and Bulldozer are all about getting the most out of every session. 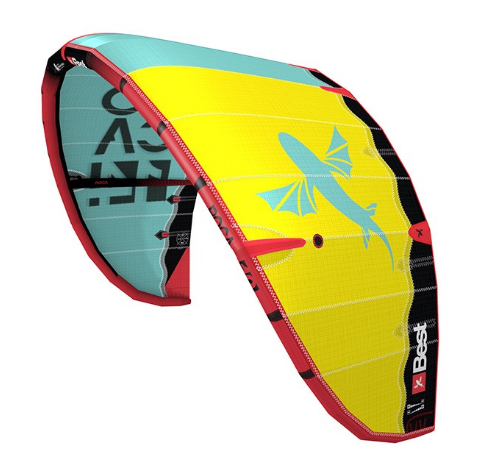 Both Boards are light, flexible and are very tough, they are easy to ride upwind and cut through the chop smoothly. The Raptor is softer to ride than the Bulldozer and more suited to freeride, it is still very easy to pop a nice trick or two. The Bulldozer is more suited to someone wanting to try a few tricks and jumps, the Bulldozer provides better edging and softer landings. To help you decide which board is best for you here is my advice, if you want to progress to jumping and doing wakestyle tricks then the Bulldozer is the board for you. However, if you want to focus on freeride and having a nice cruise with the occasional jump or trick then the Raptor is what you will want. 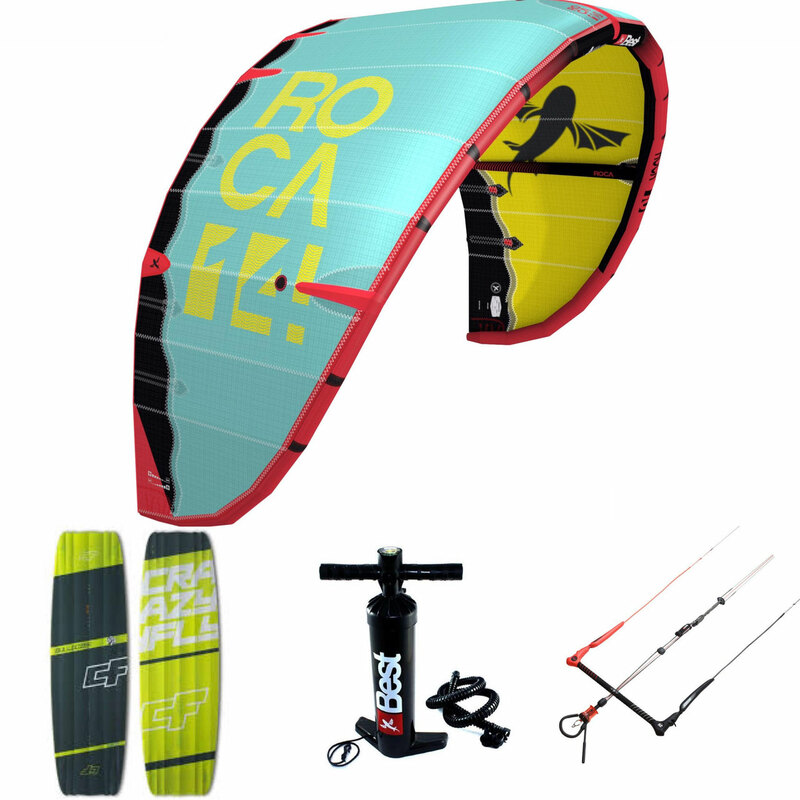 The ROCA Kite Package L comes only in mint/yellow and you can choose between a 140cm Bulldozer or 137cm/140cm Raptor board, recommended for riders 70 kg+ and includes a free seat harness. 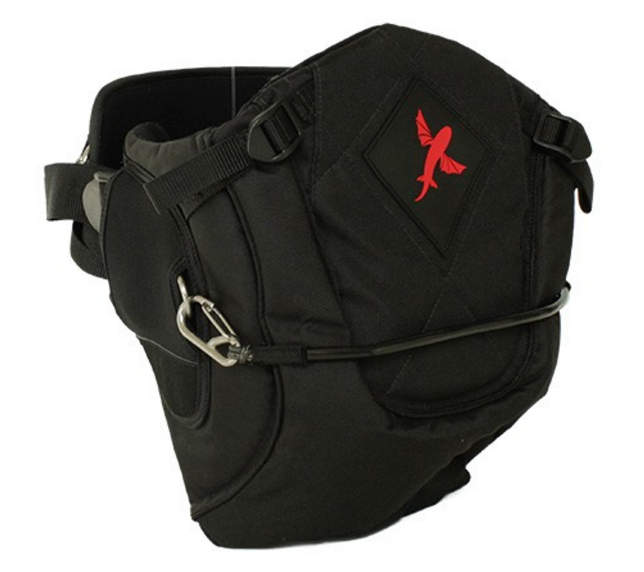 While in your shopping cart please provide your waist measurement to specify your harness size. Please feel free to call and have a chat about what is the right option for you if you are unsure. © 2016 Ricky Rush All Rights Reserved.